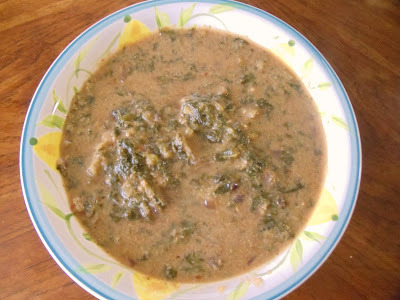 Bhajje Ambat is one more healthy konkani dish. Few days back I had posted one dish of red amaranth leaves - Tambdi bhajji randayi. 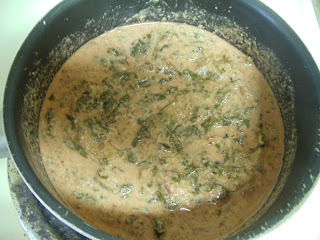 Bhajje Ambat is little milder when compared to my older post, as it contains toordal. This dish has proteins from dal, Vitamins from red amaranth leaves and many other nutrients. So what more goodness can you expect from a dish? :-) Plan to make this soon. Separate the leaves from the stem and look for any worms on the leaves. Wash the leaves as well as the stem. Give a rough chop to the leaves and cut the stem to 5-6cm long. 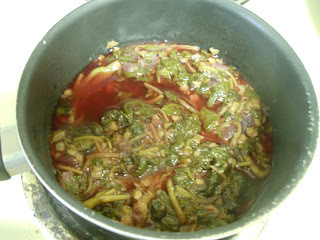 Put them in a pressure cooker with little amount of water (the leaves and stem gives out the water content while cooking. Hence don't add generous amount of water), toordal, half of the chopped onion and salt to taste. To make Masala- Grind grated coconut, roasted red chillies and tamarind to get a fine paste. Add little water, which helps everything to come together. Add this masala to the cooked red amaranth-dal mixture. Mix well and bring it to a boil. Once it comes to a boil, continue heating for 4-5 minutes. 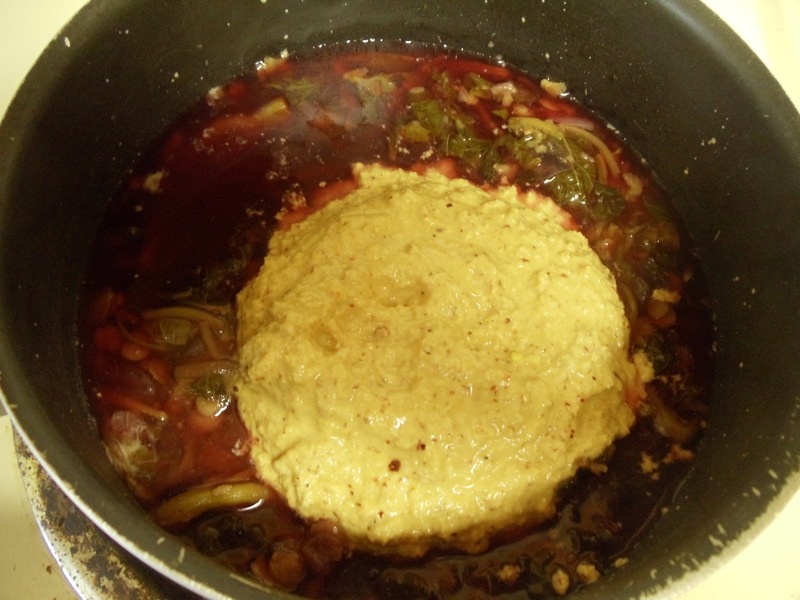 Turn off the heat (consistency of the gravy should be medium thick). 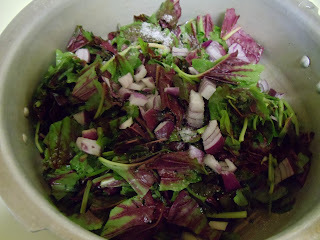 For seasoning- Heat oil and add the other half of the chopped onion. Fry it until it turns golden brown. Add this to the cooked mixture and mix well. Bhajje Ambat is ready! !